As the weather gets colder, we start preparing for winter and what it has in store for us. Part of that preparation, for some of us, includes getting our annual flu shot to prevent any untimely delays in our productivity. For many of us, the flu is a common part of our lives that we deal with when it comes. For some others, it is a big problem that can lead to fatal consequences. What most of us do not consider is the potential for a flu season to become pandemic. Looking at pandemics and deadly flu strains of the past, scientists are using what we know to understand current flu viruses that can become huge threats around the world. One such threat is the H7N9 influenza virus, which scientists are observing with great interest to see if it can become a pandemic strain and how we can stop it from happening. The flu is a contagious respiratory illness caused by an influenza virus. It ranges from mild to life-threatening as death can occur. There is a seasonal vaccine for it to help mitigate the worse conditions. People with the flu generally experience fevers, coughs, aches, sore throat, fatigue, and other symptoms that vary between individuals and severity of flu. It is generally held that people contract the flu virus from other infected individuals, via coughs or sneezing, or from infected surfaces, like doorknobs or toys. Those at high risk of the flu are children, the elderly, and individuals with compromised immune systems, like those with HIV/AIDS. For most of us, the flu is a minor inconvenience that we have to deal with sometimes or if we are vaccinated, may not have to deal with at all. For others, it can be a big problem. The Center for Disease Control and Prevention (CDC) estimates that 9.2 million to 35.4 million individuals contract the flu virus annually. Of those that are infected, 140,000 to 710,000 are hospitalized because of severe strains of the flu or complications that occur. The flu virus could make existing conditions, like asthma or diabetes, much worse. It could also result in sinus or ear infections and pneumonia in some individuals. Since 2010 the CDC estimates that 12,000 to 56,000 individuals die annually because of the flu and its associated complications. It is for these reasons that it is highly recommended that individuals get the vaccine and do not become part of these harrowing statistics. The vaccines themselves are not always effective because they generally work, on average, 50% of the time. The reason for this is a main characteristic of the flu viruses: they continually change. The flu viruses change via “drift” or “shift”. During “drift”, the virus accumulate genetic changes slowly over time until it is unrecognizable by an immune system that recognized its previous version. “Shift” is a dramatic and quick change that alters the genetics of the virus greatly, making it also unrecognizable by the immune system. These changes are the main reason why we have to get vaccines annually and why they are not completely effective. 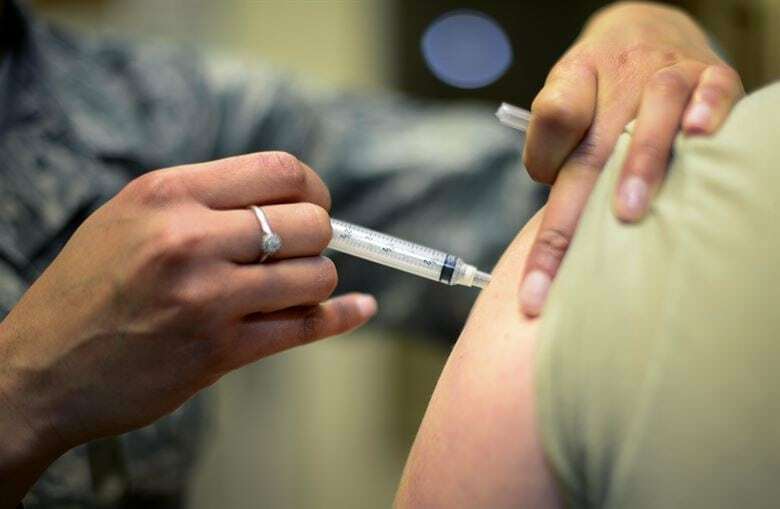 Researchers behind the vaccine must use existing data about flu viruses and their changes as well as statistical data on how those changes might occur in the future to select strains of a virus that is most likely to occur and build a vaccine around that. They are sometimes very accurate, mildly accurate, and sometimes very inaccurate. The shifts in the viruses generally are the reason that deadly strains of flu viruses, like H1N1, occurs and cause problems. These shifts result in such a dramatic change that people have no way of protecting themselves against it, making this strain very deadly. H7N9 is an avian flu that was discovered in China in 2013. Researchers believe that is its genes are derived from viruses in ducks and migratory bird species. It is transferred from poultry to humans and results in infection similar to most flu viruses. The worrying aspect of the infection fever and pneumonia that did not respond to antibiotics. Since its discovery, there have been multiple waves of infections in humans and in 2016 the infection rate started to increase much more than before. Of the infected, 40% has died. Recently, researchers from the University of Wisconsin-Madison and the University of Tokyo looked at an H7N9 virus from an infected patient who died. They wanted to analyze the virus and understand its danger to us. Using ferrets as proxies for humans, they found that the virus is capable of moving from human to human. The researchers also found that the virus is highly mutative. While the patient was alive, he was taking Tamiflu to treat the infection. The researchers found that the virus had mutated into two groups: one being sensitive to Tamiflu and the other being resistant to it. This is important because it shows the mutative nature of the virus as well as the danger it poses to humans if it can develop resistance to our means of dealing with it. Using the ferrets, they found that the sensitive form of the virus was lethal and killed the ferrets. They found that the resistant form of the virus was weaker, which means it has the potential of spreading to more hosts than a virus that kills quickly. While the resistant virus is not effective at spreading from human to human yet, it may develop that capability over time due to mutations. Since we are already seeing drug resistance in H7N9, preventing it from spreading before it becomes better at transferring from host to host is very important to prevent any sort of pandemic that might occur. We would also need to prevent its spread in the event that it develops further immunity and lethality. The researchers noted that it is difficult to conduct research into mutation paths the virus could take to increase its host-to-host transference. To be clear, the virus is not a pandemic yet and it has not begun to develop the mutations needed to do so. But, it is still spreading from poultry to humans and human to humans, albeit at a slow pace. This allows it to develop more mutations and those could be the key to becoming pandemic. This is made more worrying by the fact that China uses drugs to combat developing flu viruses, which could result in increased drug resistance, and the fact that we do not have any vaccines to treat H7N9. Hopefully, as more research is done and more awareness is made, we can understand how the virus works prevent it from evolving into deadly forms.